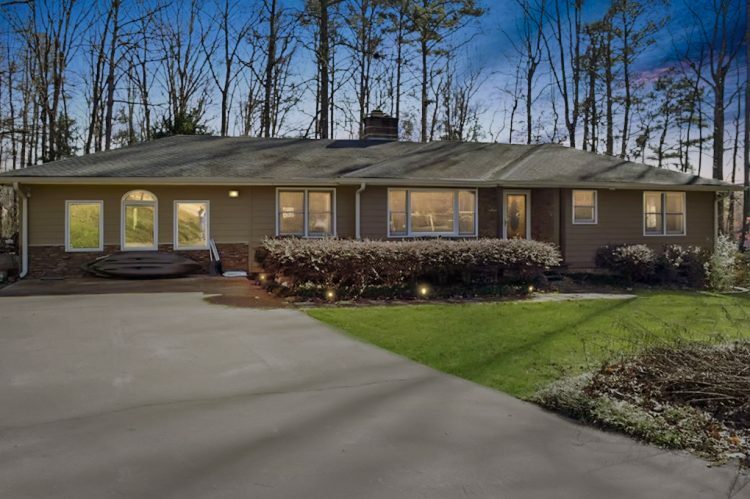 Long driveway leads to delightful RANCH nestled way off the road on 2.4 acres! Chic, modern decor. Updated granite & stainless island kitchen. Hardwood floors. Fireside family room + sunroom-style flex room! Convenient location near Canton Marketplace & new Northside Hospital. Sought-after Creekview HS!